Vocational Education and Training is an expansive concept, generally defined as preparing learners for careers based on manual or practical activities, traditionally non-academic and associated to a specific trade, occupation or vocation. It's about educating people in the knowledge and skills required for employment and for the community as a whole, so that they can progress and succeed in education and in work. Vocational Educational has different types of qualifications. Qualifications demonstrate what you have learned and the skills you now have. They are best understood by their size, content and difficulty level. The qualification i.e. 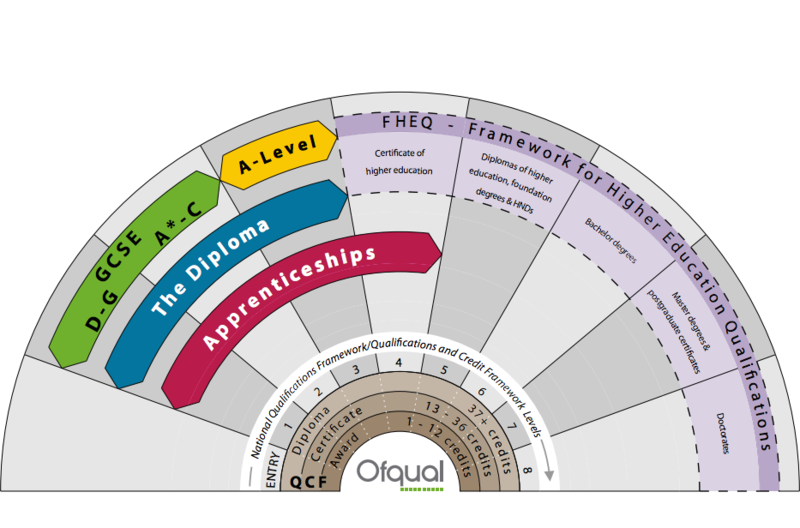 an award, certificate or diploma, must be recognised by the Qualification Credit Framework (QCF). Regulated qualifications can have a level between entry level and level 8. Qualifications of the same level have a similar difficulty. But the the content and size of the qualification can be quite different even if in the same level. A credit normally represents 10 hours of study.